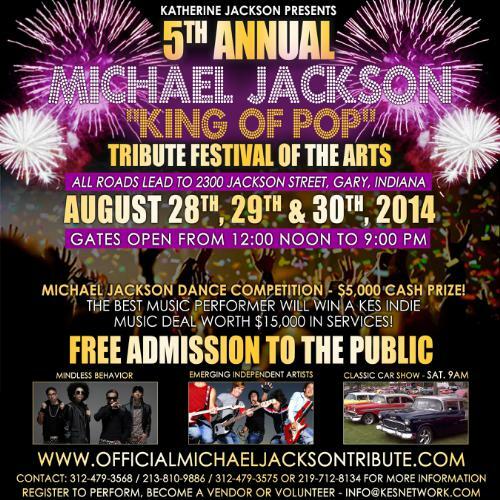 The King of Pop Tribute Festival will be returning this August to Gary, Indiana, thanks to Katherine Jackson once again. This will be the 5th year in a row for the tribute festival that features music and art for the community to enjoy and become part of. This year’s tribute festival is different from previous years. The theme is “Art for Life” and we will be showcasing undiscovered talent; in a celebration of the Jackson 5 breakout success from their humble beginnings in Gary. 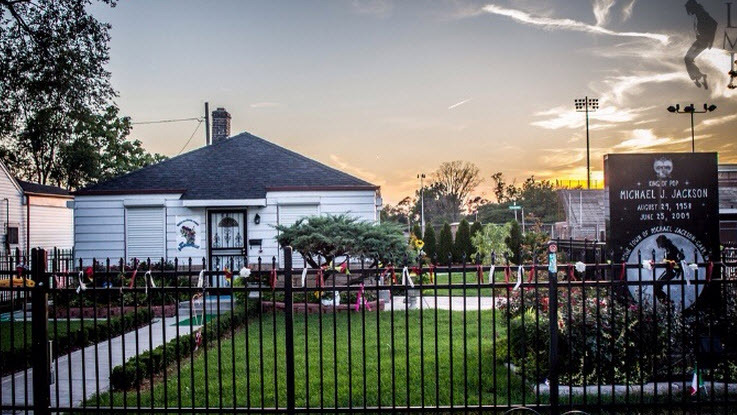 The 3-day event which takes place on August 28th, 29th, and 30th, is free to the public and will be held at 2300 Jackson Street, the former childhood home of MJ. The final day of the festival will consist of a national recording group performing a tribute to the King of Pop, Michael Jackson.